Last night Searcys celebrated our success over the past year at our second annual conference and awards ceremony at One Moorgate Place. The conference focussed on Searcys journey and growth, looking at the plans to deliver our brand promise – be consistently exceptional, making everyone we serve and work with feel special. We heard from Chairman and CEO of WSH, Alistair Storey, about the value of the Searcys brand and the importance of this in the current market. We also heard from William Curly, one of our partners and a master chocolatier and patissier, via a video all the way from Scotland. 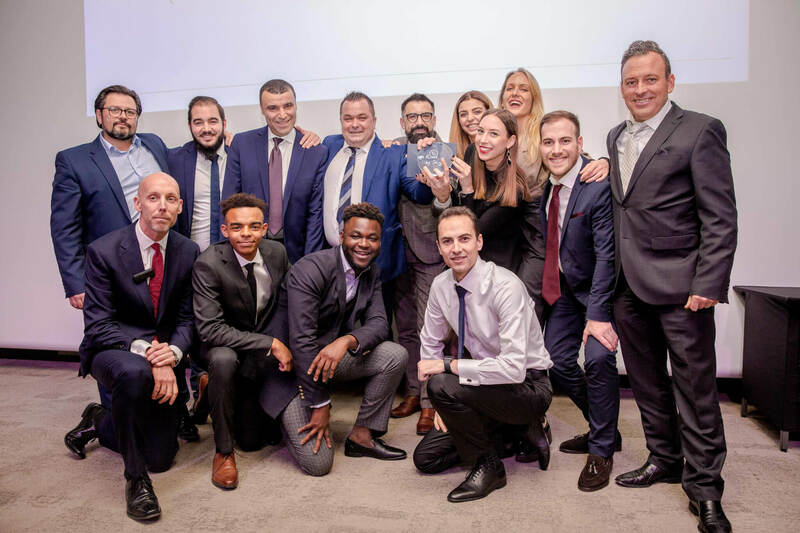 St Pancras Brasserie and Champagne Bar by Searcys won the prestigious Venue of the Year award to recognise their re-brand, the launch of the Champagne school, their best Christmas period ever and double-digit sales growth in 2018. The Chef of the Year award was won by Lilliana Ispas at the Barbican, the Exceptional Support Person award was given to Kwabena Osamoah at DLA Piper, the Sales Person of the Year went to Silvia Zambo at 30 Euston Square, and Sarah Fyfe was awarded Support Office Excellence of the Year for her work as recruitment manager at Searcys. We also celebrated our Unsung Hero award winner, Razvran Tudor, whose health and safety training helped him save a customer’s life.